We're just 22 days from the official start of the new fall season, and Best Case/Worst Case is back to preview one hour of the fall schedule each of those 22 days. Once the whole sked is in the books, it'll be time for premiere week! The finale of Motive (0.9) was up for the second straight week (and was actually a tick above last season's finale), though it had some help from another very strong night of ABC comedy repeats. I thought Motive was toast in season one, but it survived and has actually dropped (just barely) less than the league average in its season two move to Wednesday. I still wouldn't consider it totally safe, but it doesn't really look any worse than last year. Meanwhile, competing drama Taxi Brooklyn (0.7) and its America's Got Talent lead-in (1.8) were each down again to new lows. A special Bachelor in Paradise (1.4) made ABC considerably stronger than usual on Tuesday, and it was also a tick above Monday's result despite an irregular timeslot. This show is looking like a keeper. The series finale of True Blood (2.1) was only up 14% from last week and didn't even set a new season high. Though it may have been an underwhelming final season, it still goes out as easily the top drama of the summer. More importantly for HBO going forward, this bounce helped vault rookie The Leftovers (0.9) to a new high. In other finale news, TNT's The Last Ship (1.0) was exactly even week-to-week, wrapping up a first season that had nearly the exact same rating every week. On Saturday, the return of Doctor Who (0.85) and the introduction of a new Doctor exploded for BBC America, way up from the 0.6 that began the last season in March 2013. But new lead-out Intruders (0.23) retained very little of that audience. Fox's second and final Saturday Glee repeat (0.2) once again failed to hit a 0.1, though it was very close (since the 9:30 half-hour averaged 0.1). With all the national NFL preseason games in the books, we can pretty confidently say it was not a good preseason for the league. Four of the five games were steeply behind the corresponding games last year, including all three this weekend. Depending on who you believe, NBC moved the Emmy Awards to a Monday in August either due to their preseason NFL contract or due to the competing MTV Video Music Awards. Either way, it didn't seem to hurt the Emmy ratings (4.2). The show was behind last year (4.9), but most to all of that gap can be explained by last year's 7.7 lead-in from an NFL overrun. It was in line with ratings from 2011 (4.2) and 2012 (3.9). The stronger NBC did surprisingly miniscule damage to the competition. The only negative news was a new Under the Dome low (1.4), and even that was just a tenth behind its usual level. Hotel Hell (1.6) inched up to tie its season high. The A18-49+ season recaps combine all of a season's updates in the A18-49+ theme posts. An advisory: aside from the intro, everything here is copy-pasted from the 2013-14 updates published earlier this summer, though some of it has been trimmed down a bit. Even the stuff in the intro has largely been written around here before. But if you missed all the early-summer updates, this serves as a one-stop way to catch up on the season from many angles! Schedules Plus looks at the evolution of network schedules and timeslots using fairer numbers adjusted for historical decline. These update posts will link back to the now updated full posts for each day, and the update posts have exclusive comparisons vs. last year's schedule (in parenthesses) and vs. the full eight-year historical average (in the "VsAvg" row). Be advised on the CW post that these averages only go back to beginning of the network's existence in 2006-07 and don't include WB/UPN stuff in any way. After a really ugly 0.5 two weeks ago that may have given NBC some renewer's remorse, Welcome to Sweden (0.7/0.7) bounced back to relatively normal in its first double-pump airing (with Working the Engels now axed). Big Brother (2.3) and the two-hour Rookie Blue finale (1.0) were toward the high end, with the Blue finale even year-to-year. With another season about to start, it's time to take a look back at some of the many predictions made around here last year. 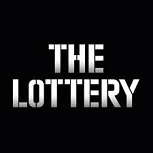 Today, the highlights and lowlights from the daily prediction game The Question, in which I set an over/under for the biggest daily events in TV ratings. Though I'm posting the season's best and worst lines, this post will not really be about delving into my boneheadedness. (I got plenty of that in the Best Case/Worst Case post!) I will largely be using this post to ramble about a few potential rule changes I've brainstormed over the last couple years. I don't currently plan on implementing any of these, because keeping it simple has worked pretty well. But if any of these get overwhelmingly positive feedback, we'll see. The weeks-ago move to 10/9c and major lead-in downgrade caused no change in Extant. So naturally, the return to 9/8c for two-hour (burn-off?) episodes and major lead-in upgrade also caused no change in Extant (1.0). So You Think You Can Dance (0.9) slipped below the 1.0 threshold for the first time ever, while Taxi Brooklyn (0.8) hit its lowest number since it got the original America's Got Talent lead-in. With another season about to start, it's time to take a look back at some of the many predictions made around here last year. Today, the highlights and lowlights from the First Two Weeks posts, in which I use just two (or three) weeks of ratings to make a renew/cancel call on new scripted series. Fox tried and failed to get a 0.1 rating with a Glee repeat (0.2) on Saturday. Sunday's second NFL preseason game in broadcast primetime was even year-to-year. And Big Brother was the weekend's only original series (including the cable shows I track) to move by more than a tenth week-to-week, probably benefiting from its first actual 8/7c start time in three weeks. The second-tier reality series kept bouncing all over the place. Hotel Hell (1.5) shot back up to its season premiere number after dropping the previous two weeks. Bachelor in Paradise (1.3) gave back its week two growth plus another tenth in week three, but it's still tracking ahead of the last Bachelor Pad season two years ago. And Running Wild (1.1) completely fell apart, going from a new high in week three down by four tenths to easily a new low in week four. And TNT brought back Dallas (0.45). This was down 40% from its last premiere (0.75 in February), but it dropped huge post-premiere and settled in about this range in the spring. After this start, another post-premiere drop like that would likely be curtains. With another season about to start, it's time to take a look back at some of the many predictions made around here last year. Today, the highlights and lowlights from the Best Case/Worst Case preview posts, in which I predict the Live+SD 18-49 averages for broadcast series. I tried to weed out episodes that came after drastic timeslot moves, as well as episodes after the end of the regular season. In a couple instances (Bob's Burgers and American Dad!) I actually projected what the average would've been in the original timeslot (applying how much its numbers dropped after the same point last year). But I ended up being too lazy to do that for everything. Schedules Plus looks at the evolution of network schedules and timeslots using fairer numbers adjusted for historical decline. These update posts will link back to the now updated full posts for each day, and the update posts have exclusive comparisons vs. last year's schedule (in parenthesses) and vs. the full 11-year historical average (in the "VsAvg" row). Many more disclaimers can be seen on the individual pages. Fox overhauls its schedule at midseason so consistently that I did separate fall/winter versions on the Fox posts, so that will give a sense of what the network had in January/February. But even this approach was insufficient this season, since the network made another sweeping wave of changes in the spring. I'll mention most of those. NBC had a surprisingly sizable spike for the Last Comic Standing finale (1.4). This put the finale at just a single tenth behind the previous finale in 2010, though that was not reflective of the season as a whole (as that 1.5 four years ago was a season low). But the season's 1.26 average was still slightly higher in Plus (67) than the 2010 season (62). NFL preseason pre-emptions weren't nearly as big a deal with just one game on the slate, but ABC's The Quest (0.5) slipped again in week three, putting it behind all Black Box results in the slot. The likely final episode of Gang Related (0.7) came back up from last week's new low. Scheduling history: Aside from a four-episode Wednesday tryout midway through season one, Blue Bloods' whole run to date has aired on Friday at 10/9c. See (who saw) how it all began: It had been five years since anything new clicked for CBS on Friday, but Blue Bloods had a star with real appeal for the Friday crowd and a compatible lead-in from CSI: NY. 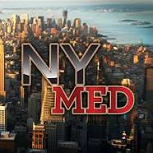 It began on 9/24/10 with 13.01 million viewers and a strong-for-Friday 2.2 demo rating, building on its CSI: NY lead-in (2.0). It dropped just a bit each of the next three weeks, to 2.0 and 1.8 and 1.7, but it steadied at the 1.7ish level for the rest of season one. The best of times: The series premiere's 2.2 remains Blue Bloods' outright series high, but several episodes have come close. It broke a 2.0 three times in its four-episode Wednesday tryout during season one (though that run was regarded as a bit of a disappointment given the higher viewing levels and its big Criminal Minds lead-in). It then broke 2.0 another three times on Friday early in season two. The 2's may be past Blue Bloods now, but seasons four and five were probably its most valuable. the 2013-14 run was up in raw numbers for both the premiere (1.7) and finale (1.4), and the season as a whole was exactly even year-to-year. The worst of times: Like some other CBS Friday shows, Blue Bloods has had a strange tendency to really tail off at the end of the season. After hanging around a 1.7 for almost all of season two, it suddenly went 1.5 -> 1.4 -> 1.3 to end that season. Then it dropped to a new series low 1.1 for the season three finale on 5/10/13. It managed to avoid this phenomenon in season four, but another stinker late in season five (on 4/24/15) made 1.0 the new low. Two years later, it found its first fractional result with a stinker 0.8 on 4/28/17, but rallied back to 1.0 for the finale. And it put up its first 0.7 at the same time the next year (on 5/4/18). Then vs. now: Blue Bloods is one of those rare TV successes in this day and age that was explicitly designed to skew super-old. Tom Selleck's recent track record in the Jesse Stone movies pretty much ensured that would be the case. Most shows that appear to be old-skewing going in aren't able to cast a wide enough net to score an acceptable volume of advertiser-friendly viewers, but Selleck's Blue Bloods audience has been substantial from day one. A somewhat rocky season three and the loss of its CSI: NY lead-in made things look a little shaky for Blue Bloods entering season four, but Hawaii Five-0 injected a surprising amount of new demo interest into CBS Friday. These two shows debuted in the same week in 2010 with very different expectations, but they will be an even longer-term team than CSI: NY and Blue Bloods were. And a very good season for Bloods in 2015-16 has made it an official member of the CBS Friday pantheon; this A18-49+ level was even higher than the peak years of Ghost Whisperer and Numb3rs. TNT's Legends (0.52) was another soft (and old-skewing) cable premiere in a summer that's been filled with 0.4 and 0.5 premieres on even the biggest cablers. And Franklin and Bash (0.28) looks like it may be the Covert Affairs of TNT this summer; it scored a bubble renewal last season and thanked its network by promptly collapsing by half year-to-year. Let's take a look at the 2013-14 season (the sixth overall) of The Mentalist on CBS. A 20/20 special commemorating Robin Williams posted one of ABC's best timeslot numbers of the season. Almost everything repeat and original was up week-to-week, perhaps benefiting from a softer ABC (compared to last week's CMA special). A notable exception was NBC's Food Fighters (1.0), whose roller coaster ride swung back down to the weak series premiere number in week four. 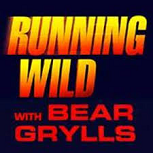 It now seems well behind Running Wild in NBC's unscripted renewal race. Scheduling history: Lie to Me debuted in winter 2009 with five episodes after American Idol on Wednesday. The show then moved to 8/7c for the rest of season one, with Idol back to 9/8c. The first half of season two aired on Monday after seemingly compatible House, and the network used the back half of season two to try to push into year-round programming. It scored a season three renewal, but not on the fall schedule; however, it was very quickly called back to its Monday 9/8c slot after Lone Star bombed to a historic degree. A rain delay pushed the final round of the PGA Championship two hours into CBS primetime on the East Coast. Though the full day averaged a 1.7, it averaged a 2.5 in the last two hours, peaking at a 2.9 in the 9:00 half-hour and hitting a 2.7 at 9:30 leading into 60 Minutes. Big Brother (2.0) was even despite a 10:00 start time on the East Coast. It was a bit of an atypical Sunday with bigger CBS competition and the Teen Choice Awards on Fox, but it seems ABC's Rising Star (0.7) has officially entered legitimate dud territory with a two-tenth drop this week. The biggest notable from the weekend in cable was a big week two drop for Hell on Wheels (0.35) on Saturday. It went from a nearly even year-to-year premiere to over 25% behind last season's episode two. 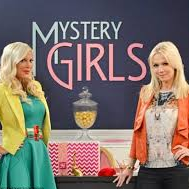 And for a little more fun-with-tiny-numbers, WGN's Manhattan (0.09) followed last week's 74% drop with an 80% bounce-back in week three (though this still left it at half of the premiere number). In second-tier reality world, it was a good day for ABC's Bachelor in Paradise (1.5) and NBC's Running Wild (1.5), each hitting a new high in their respective second and third weeks. But on a lower-competition night (American Ninja Warrior was a recap special), it now seems that the early heat from Fox's Hotel Hell (1.3) is well behind us, as the series downticked again. Not the fairest comparison, but this put it behind all the 24 episodes in the slot. The CW picked up a bit more midsummer steam as Whose Line Is It Anyway? (0.7) hit its first 0.7+ in 18 episodes this season. Let's take a look at the 2013-14 season (the fifth overall) of NCIS: Los Angeles on CBS. Let's take a look at the summer 2014 season (the ninth overall) of 24 on Fox. There's much discussion about how screwed up the preliminary ratings are during the NFL preseason, but last night's results also prove the finals don't exactly sort things out. For example, it's not realistic that Elementary would suddenly hang a 1.2 after going no higher than 0.8 the whole summer. (CBS' 8:00 hour repeats are only slightly less ridiculous.) Clearly these numbers are heavily influenced by when the pre-empted stuff gets rescheduled, and often that means right after the high-rated game is over. The other networks were not nearly as lucky as CBS on the pre-emption front; every original on ABC, NBC and Fox was down a tick or two from last week. Let's take a look at the 2013-14 season (the seventh overall) of Kitchen Nightmares on Fox. 10/9c dramas Extant (1.0) and Taxi Brooklyn (0.9) each shed a tenth, all the more disappointing because ABC sat out its own drama Motive in favor of a much weaker Nashville repeat. There were two-tenth declines from their respective lead-ins Criminal Minds (0.9) and America's Got Talent (2.0). 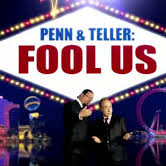 Penn and Teller: Fool Us (0.5) still looks promising for the CW, as it held its good premiere number from last week. Let's take a look at the spring/summer 2014 season (the twelfth overall) of Hell's Kitchen on Fox. The annual CMA Music Festival (1.9) dropped just a tenth year-to-year, which is quite good since last year's 2.0 was one of the highest ratings in ABC's 10 years airing the event. And the much stronger ABC likely played a role in a major week-to-week decline by America's Got Talent (2.0). 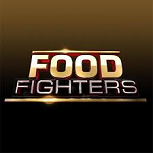 Week three of Talent lead-in Food Fighters (1.2) fared better, down just a tenth and still two tenths ahead of the premiere rating. Scheduling history: Because this was a particularly important series in primetime TV, I'm waiving the four-year rule for War of 18-49 posts and chronicling The X Factor's three-season run. All three The X Factor seasons took place on Wednesday and Thursday. It was almost always two hours on Wednesday and generally one on Thursday, though Wednesday was shortened to 90 minutes during season one to launch new sitcom I Hate My Teenage Daughter. Because of the importance of matchups, it's generally folly to compare individual NFL results (especially individual preseason NFL results). But the Hall of Fame Game (2.8) didn't get the NFL off to a very promising start in 2014-15; it was 26% below last year's 3.8, though last year's game had the always potent Dallas Cowboys Effect at play. This was still ahead of all the other preseason games last year. The CBS lineup was bumped seven minutes by a golf overrun, which may have been a factor in two-tenth drops for Big Brother (2.0) and Unforgettable (0.8). Cable numbers added below, and WGN America's Manhattan (0.05, which rounds down to 0.0) pulled off something you don't see every day: a seventy-four percent week-to-week decline. I know percent changes can get wacky with numbers this small, but it was already starting from a bad number last week. Geez. The CW rounded out a magical week with the revival of former PAX and MyNetworkTV series Masters of Illusion (0.3), which did OK business at 8/7c. The network then got great mileage out of a Penn and Teller: Fool Us encore (0.4) at 9/8c. It seems a bit unfortunate that this lineup got relegated to Friday while repeats of The Vampire Diaries and The Originals have regularly hung 0.1's on Thursday. On Saturday, the two-hour Crossbones burn-off (0.2/0.2) was the only broadcast original (while news-themed programming vastly improved the slot it left behind on Friday), but cable had better luck as AMC's Hell on Wheels (0.47) came back nearly even year-to-year and Starz had a rather solid start out of Power (0.52). 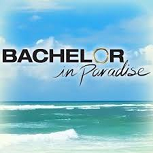 New The Bachelor spin-off Bachelor in Paradise (1.4) was just a few tenths below what The Bachelorette delivered for most of the summer, and I would call it a stronger start than the third and final season of Bachelor Pad two years ago (1.5). Of course, that Bachelor Pad season ended with a cancellation, so Paradise may need to be stronger. But this has put it in the mix. Elsewhere in second-tier reality world, week two of Running Wild (1.3) was down a tenth, tying it with week two of last year's Get Out Alive. And week three of Hotel Hell (1.4) gave back last week's growth, plus another tenth. Let's take a look at the spring 2014 season (the twenty-fourth overall) of The Amazing Race on CBS. Let's take a look at the Summer 2014 season (the tenth overall) of The Bachelorette on ABC. Bumped from an initial planned run in the regular season, ABC's new reality series The Quest (0.7) began very low at 8/7c, with numbers no better than recent episodes of Black Box. It pretty much has to pray for a Food Fighters kind of week two miracle from here. Elsewhere, Welcome to Sweden (0.7) hit a new low in week four (putting it into holiday Undateable territory), while Gang Related (0.7) held even despite lead-in Sleepy Hollow going 1.2 points lower than last week's Hell's Kitchen. A18-49+: What's a "Hit for Summer"? A key reason that A18-49+ "works" to whatever extent it does is that many fundamentals of the environment have remained constant. In the 35-week regular season, the big four networks have consistently devoted about 60-65% of their primetime real estate to original series. Within that original series category, a reliable 60%ish of it is scripted and about 40% unscripted. There's a lot of talk about needing to cut down on repeats, but it's not really happened on the regular season stage. Because it's a robust sample size and a relatively apples-to-apples environment over the last decade-plus, the league average decline seems to be a reasonably solid representation of the "true" collective decline. The summer is a different story. It was once a wasteland of repeats, but repeats are declining in value, and the networks are responding here in a meaningful way. There was a double-digit increase in original volume in summer 2013, and summer 2014 is heading in that direction again. When renewal time comes, these originals aren't necessarily getting compared against other originals; they're just hoping for noticeable improvement on repeats. This drastic uptick in volume makes it a bit tougher to devise A18-49+ labels for summer programs. It's a shifting environment where the definition of "average" is becoming deflated. So I went back to some of the original definitions I used in devising the labels. Here's a quick look at that process and the new labels that result. Let's take a look at the 2013-14 season (the twenty-fifth overall) of The Simpsons on Fox.